I ordered this product. Spoke to a rep and she was so concern about my injury and how this product can help with my pain. She stated that she can give me a much better deal, but she will need to instant message her supervisor for approval. She said instead of charging me 49.95 I will be charged 39.95. And that I can cancel anytime with no questions asked. I was convinced. After thinking about it I went on the internet and seen some really disappointing reviews. I called back and canceled it. I was told by the rep that my order was canceled. I called my bank to insure that they do not charge my card. To find out that they did charge my card and shipped without my approval. Review #339656 is a subjective opinion of User339656. Won't issue refund as promised, except for last bottle if you fight for it. Stuff doesn't work either. Wasted over $100. Thank God and everyone,for all the comments. 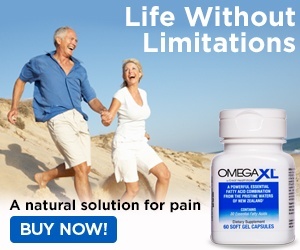 I will not be spending my money on omegaXL. Thank you for the warning. do a charge back at your bank. then block them from charging again at the bank. this makes this an easy fix. then next time before you buy look the seller up like im doing now and this will help you to stay away from your bank having to do chargebacks. also assume all infomercials to be bad until you learn otherwise. thanks for informing me of your experience you are saving me from fighting with them.